“Thank you”…did you know that it’s more than just good manners? It is the key to happiness and success at work. Both the wisdom of the past and the science of today speak the same message, sound judgment and good habits can help us be more grateful, even in the face of difficulties. And close on the heels of this spirit of gratitude follows a profound and lasting joy. As Cicero pointed out, “Gratitude is not only the greatest of virtues, but the parent of all the others.” Paul, in his letter to the Thessalonians wrote, “Rejoice evermore. Pray without ceasing. In everything give thanks: for this is the will of God.” (1 Thessalonians 5:16-18). 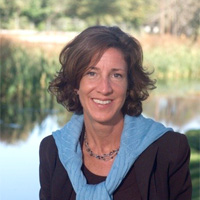 Dr. Karen Bohlin will speak on the virtues of gratitude in everyday life. Dr. Karen Bohlin is head of the Montrose School, a leading independent college preparatory school for girls in Medfield, MA, and serves as a senior scholar at Boston University’s Center for the Advancement of Ethics and Character (CAEC). She is the author of three books and numerous articles on character development. A past guest on National Public Radio’s Merrow Report and NBC’s Early Show, she has also been interviewed for Parents Magazine, US News and World Report, Reader’s Digest, New York Times, Boston Globe, Newsweek, and Ladies Home Journal. Dr. Bohlin has led countless professional development programs for educational leaders both here and in several countries abroad including England, Austria, Switzerland, Italy and Japan.